We have already looked at Royal Doulton’s ever popular series of a Limited Edition Loving Cups and Jugs, and this series of 7 smaller jugs fit perfectly with their larger, rarer counterparts. 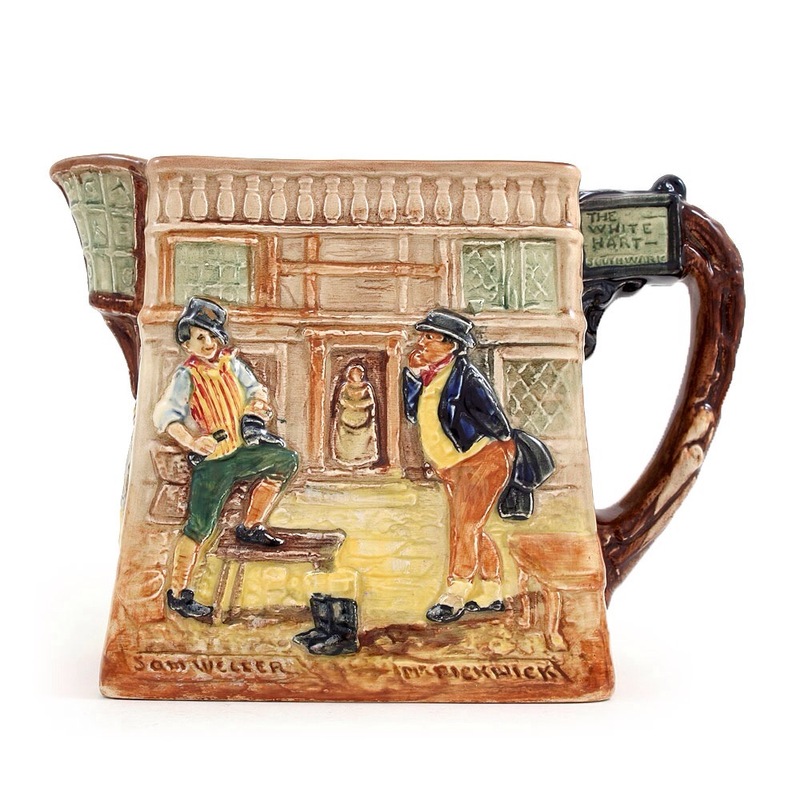 First introduced in the same decade as the larger Jugs and Cups, this set of 7 bear out Charles Noke’s passion for Dickens. As always the last ones with the shorter production runs are the most difficult to find today, but a full collection is possible and they make a super display. 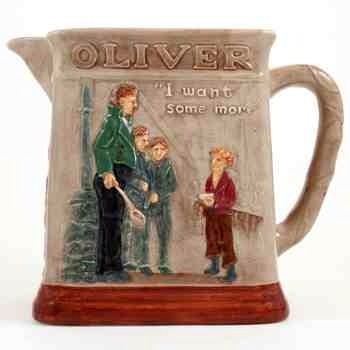 There were other relief or embossed Dickens wares but that is for another time! Happy collecting!